This unique and scholarly exhibition – Ahmedabad Walls – brings to life the history of Ahmedabad through the eyes of architect and aerial photographer Robert Stephens. 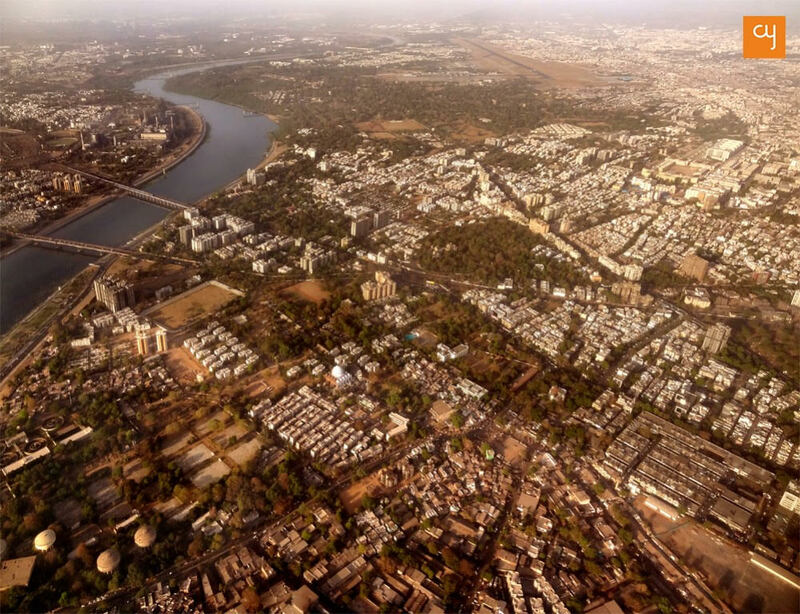 The exhibition at Kasturbhai Lalbhai Museum showcases 23 stunning aerial photographs of Ahmedabad, which trace the footsteps of Scottish polymath Patrick Geddes. The exhibition also displays unpublished notes, essays on Ahmedabad and rare books from early 20th century by Patrick Geddes. Robert Stephens, Principal at architect firm RMA Architects, Mumbai, has been pursuing aerial photography of urban landscapes since over a decade. Over this years he has documented cities like Chennai, Mumbai, Delhi, Gurugram among others. In this exhibition titled ‘Ahmedabad Walls’ he presents a dramatic perspective of modern Ahmedabad, through his aerial pictures, taken from as high at 10,000 ft above sea-level. 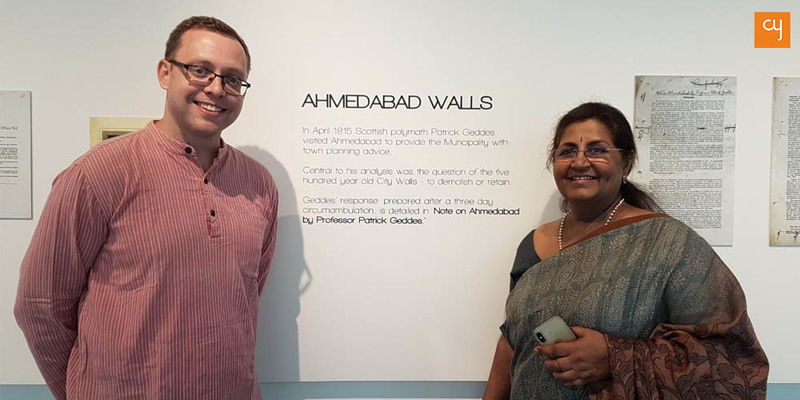 The exhibition is a visual document of Ahmedabad Walls, now a part of the old city, referenced upon the foot steps of Scottish polymath Patrick Geddes, who circumambulated the walls of Ahmedabad during early 20th century. The exhibition is hosted by Kasturbhai Lalbhai Museum in Shahibaug area of Ahmedabad. Stephens has spent a lot of time with books of Patrick Geddes produced between 1879 and 1931, particulary his Notes on Ahmedabad. Patrick Geddes had visited Ahmedabad almost a 100 years ago to document the urban planning of the walled portion of the city. During his visit to Ahmedabad in 1915, his enquiry was focussed upon the purpose of 600 year old walls of the city of Ahmedabad. In his work he recommended the preservation of the great Ahmedabad walls, which unfortunately in decades are consumed by the rapid urbanisation. The exhibition is not only hosting his ‘Notes on Ahmedabad’ but also his unpublished correspondence with the Government of Bombay and approximately thirty other rare books, as part of the ‘Patrick Geddes Reading Room’. Geddes visited India at frequent intervals and between 1915 – 1919 he wrote a series of town planning documents for more than 18 Indian cities. The exhibition opened on October 20, 2018 and will remain open until November 20, 2018, every day from 10 am to 5 pm. Visitors looking for a guided tour by Stephens can drop down between 12 pm to 4:30 pm on November 3 and 17.